Black Hornbills Are Faithful To Their Mates. Photo title: Black hornbills are faithful to their mates. They are black hornbills. 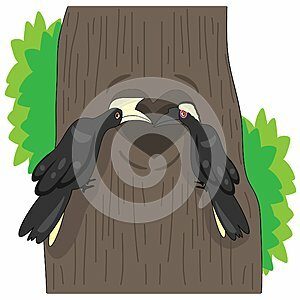 black hornbills are faithful to their mates.